Waterfall Info: This large waterfall is the main waterfall on Gurley Creek. The photo, coordinates, and other info are for the primary, most scenic section. Below the main waterfall are a couple more cluttered drops that are hard to view. 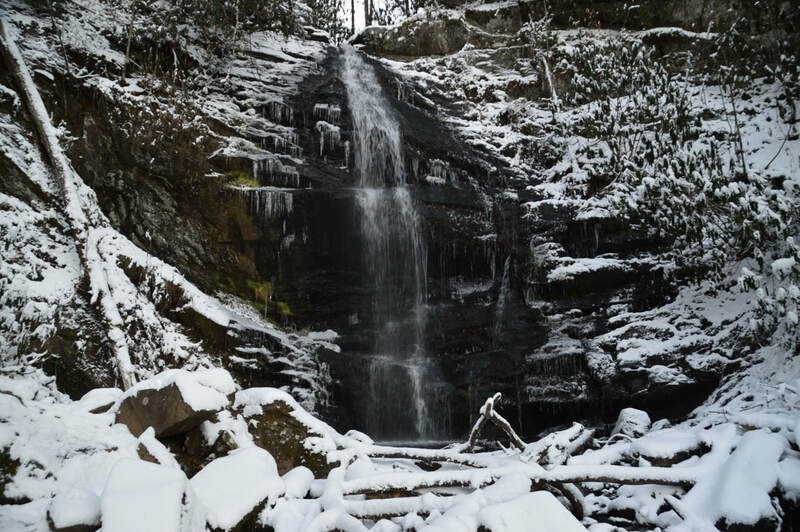 Access Info: This waterfall is accessed by a short, steep trail out of the private Enota Mountain Retreat.